The Houstonian Hotel, Club & Spa – For true traditionalists, and those seeking the ultimate in uniquely Houstonian hospitality, no Texas property has more local cred than The Houstonian. Beloved by visiting dignitaries and local society scions alike, The Houstonian is an 18-acre wooded haven right in the heart of the city. 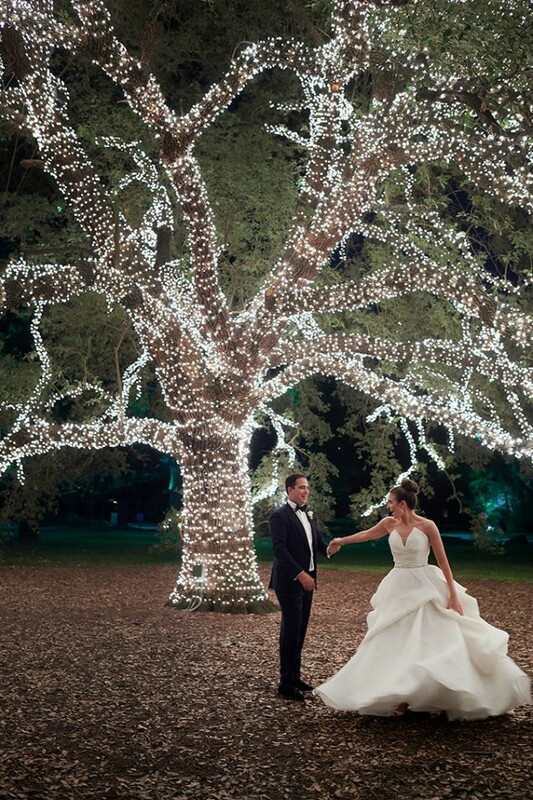 Say your “I do’s” outdoors beneath the hotel’s massive oak tree, then bring the festivities into the dazzling Grande Ballroom, for a classic Houston wedding celebration your guests will remember and revere. 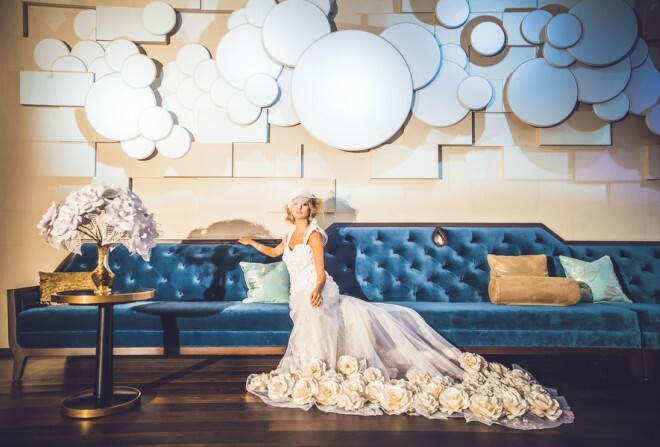 JW Marriott Houston Downtown – A circa-1910 structure that’s secured its spot as one of the city’s most modern wedding locations? 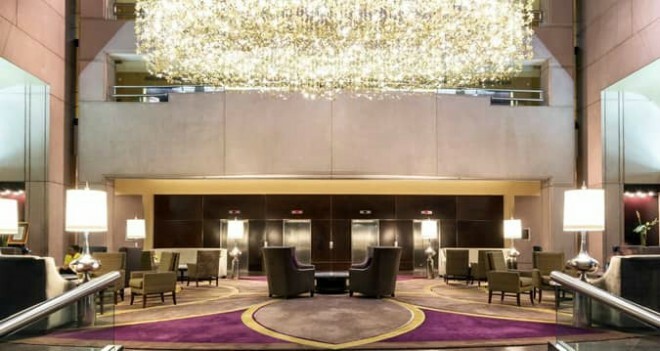 It may seem like a contradiction, but in the case of downtown Houston’s JW Marriott hotel, it’s a perfect marriage of old and new. From the moment guests enter the hotel’s Main Street lobby, they’ll find themselves surrounded by fine art, sleek surfaces and contemporary furnishings. 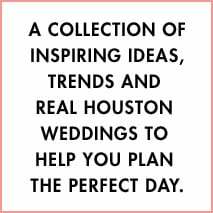 Then there are the JW’s wedding spaces themselves—each a private oasis of urban elegance, all located in a building that is an integral part of Houston history (ask the staff to reveal some of its secrets…you’ll be intrigued by what you hear!). 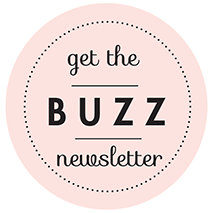 The Hotel Zaza Memorial City – Sister property to Hotel ZaZa in the hip Museum District, the brand-new Hotel ZaZa Memorial City brings the ZaZa brand of edgy elegance to another hot Houston zip code. The new ZaZa has all the luxe decadence of a destination resort—maybe it’s the Beach Club resort-style pool…or the chic Tipping Point restaurant and terrace—but with the added benefit of a city-view ballroom that’s certain to become make this ZaZa one of the city’s most coveted hotels for weddings. 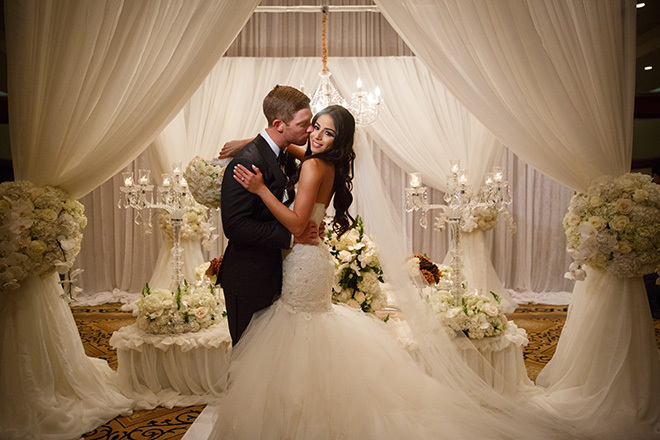 The Hilton Houston Post Oak – If an authentic cultural experience is what you seek for your Houston wedding, the Hilton Houston Post Oak is here to serve your needs. 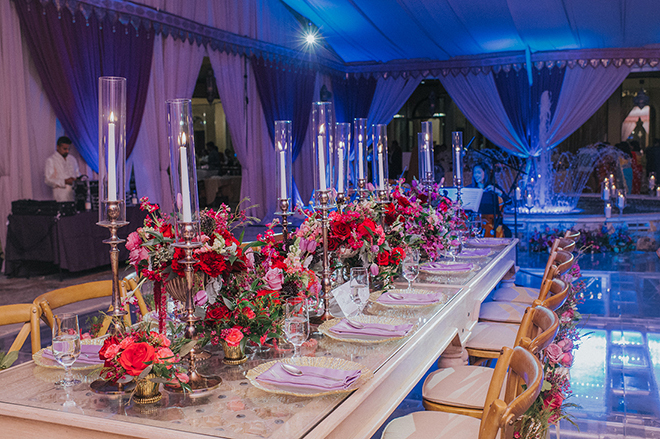 Not just a gorgeous place to say your vows, and celebrate your union with up to 750 of your nearest and dearest, the Hilton Houston Post Oak also specializes in South Asian weddings, Jewish weddings that require a dedicated Kosher kitchen, and all manner of global affairs where custom international menus and expertise in cultural ritual and tradition are a must. 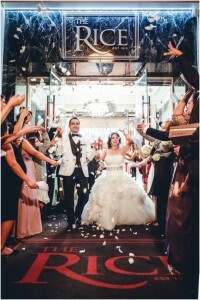 Omni Houston Hotel – From pre-wedding prep at on-site Mokara Spa, to pool-deck ceremonies, to lavish receptions in the spacious Regency Ballroom, to late-night after-parties in the hotel’s swank Black Swan nightclub, the Omni Houston Hotel is a fine choice for couples who want it all, all day and night. 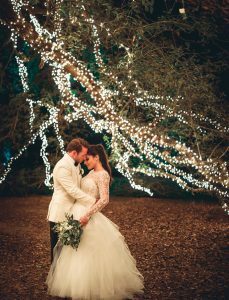 Bonus: The Omni offers a complimentary honeymoon stay at one of Omni’s 14 resort destinations to couples who book their wedding at this prime Houston property. 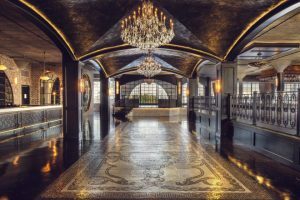 Hotel Galvez – For more than a century, Hotel Galvez & Spa, a Wyndham Grand Hotel, has been delighting visitors with Old World style and hospitality in a glorious Galveston setting on the Gulf of Mexico. 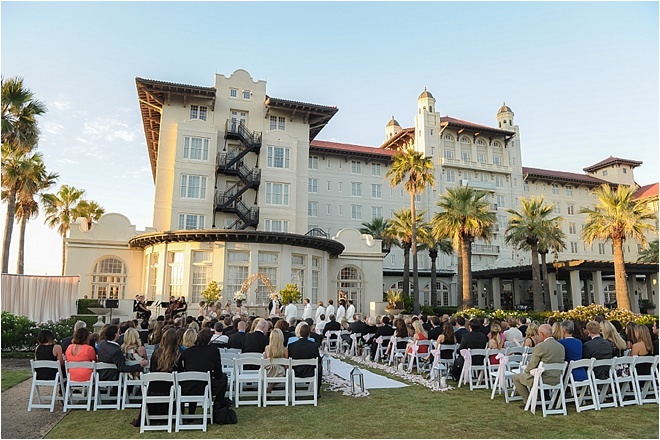 Wedding ceremonies at the “Queen of the Gulf” often take place on Centennial Green, a vast lawn overlooking the gulf’s sparkling blue waters, while post- I-do celebrations in the opulent Music Hall hearken back to another time and place, but with all the state-of-the-art technology and modern amenities modern couples expect. 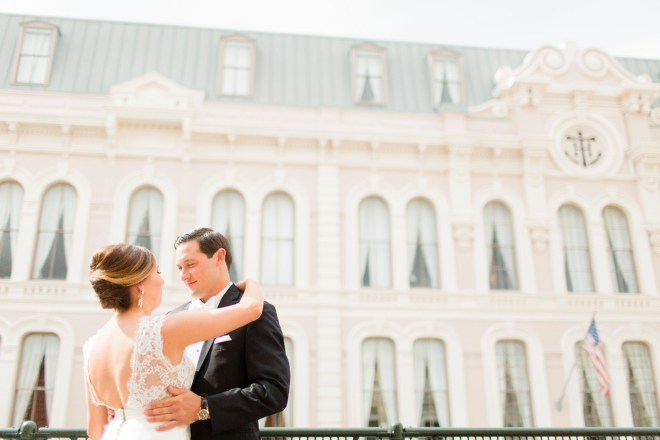 The Tremont House – Sister property to Hotel Galvez, Galveston’s Tremont House, one of two Wyndham Grand Hotels in Galveston, offers a boutique-hotel wedding experience in a refined 19th-century building steps away from The Strand—Galveston’s beloved historic district, brimming with eclectic shopping, fine restaurants and a bustling nightlife scene. 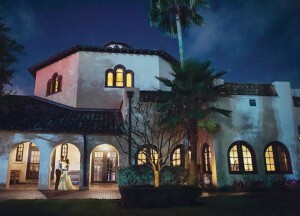 Wedding guests can enjoy cocktails among the palms of the Tremont’s lush atrium lobby, and live jazz on Friday evening, followed by your unforgettable wedding celebration in the brick-walled Sam Houston Room or the exquisite Tremont House Ballroom on Saturday. 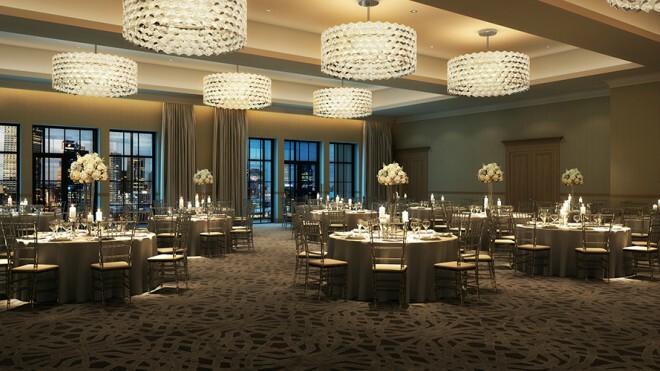 Hilton Americas-Houston – With luxurious space for weddings expecting upwards of 2,000 guests, the Hilton Americas-Houston is a longstanding favorite for couples of South Asian and Middle Eastern descent, as large guest lists and multi-part wedding festivities are de rigueur for cultures of both regions. Dazzling downtown Houston views, lavish ballrooms, in-house expertise in authentic international cuisines, and ample accommodations for visiting guests make this modern property a perfect choice for couples of any culture who want it all, all in once place, with space enough for everyone to enjoy.